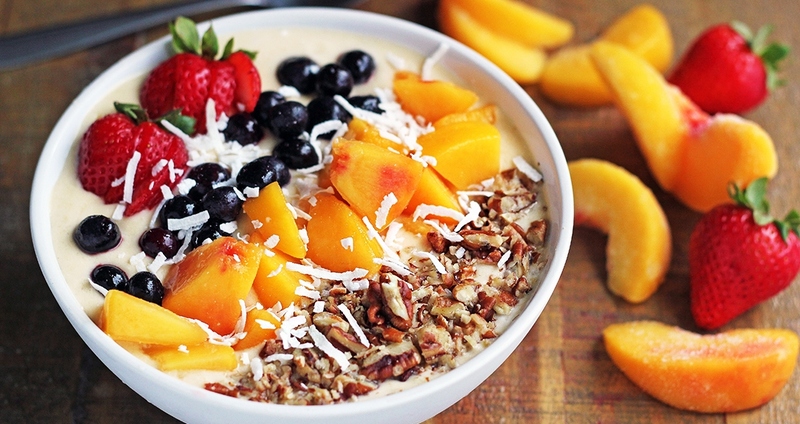 This smoothie bowl is a delicious and quick way to start your day! It combines seasonal peaches with coconut cream as a source of healthy fats to help satiate you until lunchtime. To make the bowl even more substantial, try adding your favorite protein powder. Add banana, peaches, coconut cream, coconut water or filtered water to a blender. Blend until smooth. Pour into a bowl and add your favorite toppings. Enjoy!